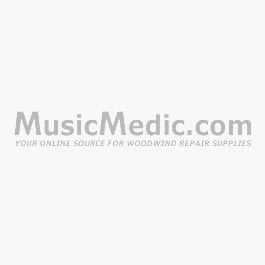 MusicMedic.com has the largest selection of Delrin Rod stock available for woodwind repair. Use Delrin whenever you need to machine parts, spacers, bushings, and rollers for saxophone. Note that Delrin does not have good bonding properties with adhesives and should not be used where ABS is necessary. Sold in one foot lengths.